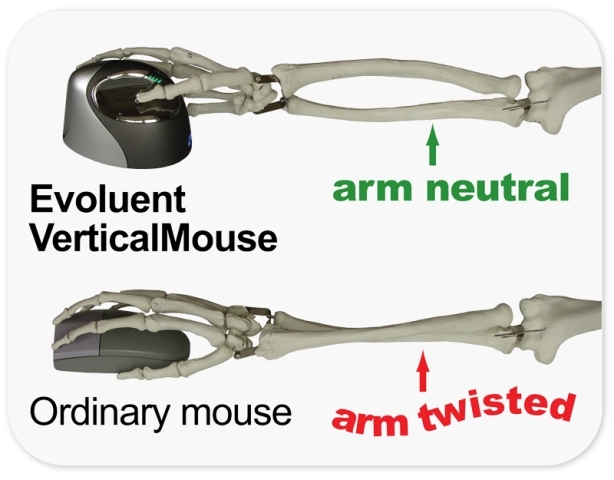 Evoluent VerticalMouse (small) placed to the right of a Freestyle adjustable keyboard. Evoluent VerticalMouse (standard) placed to the center of a Goldtouch adjustable keyboard. Evoluent VerticalMouse (small) placed to the right of a Evoluent adjustable keyboard. Evoluent VerticalMouse (small) with a compact S-Board Keyboard.